Thank you for visiting the official Website of the Carter Family Memorial Music Center! This is your source for information related to the legendary Carter Family, the Carter Fold performance center, and all our activities dedicated to the preservation and presentation of traditional mountain and folk music. 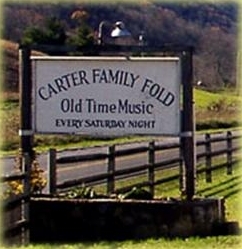 The Carter Family Memorial Music Center, a non-profit organization, serves fans and supporters of old-time country and folk music through the presentation of weekly performances at the Carter Family Fold, in Hiltons, Virginia. It also honors the memory of the first family of country music, the legendary Carter Family (A.P. 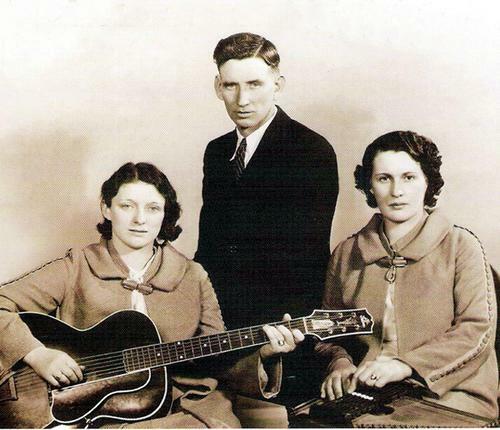 Carter, Sara Carter, and Maybelle Carter), whose first recordings (in 1927) are credited with giving birth to the commercial country music industry. The Carter Family Memorial Music Center was founded by Janette Carter, daughter of A.P. and Sara, who with Sara's cousin Maybelle, comprised the original Carter Family. The Carter Family Memorial Music Center is directed by Rita Forrester, daughter of Janette Carter. This is the official Website of The Carter Family as well as that of The Carter Fold and The Carter Family Memorial Music Center. Please visit us often as we add information and photographs that help tell the story of this remarkable family.